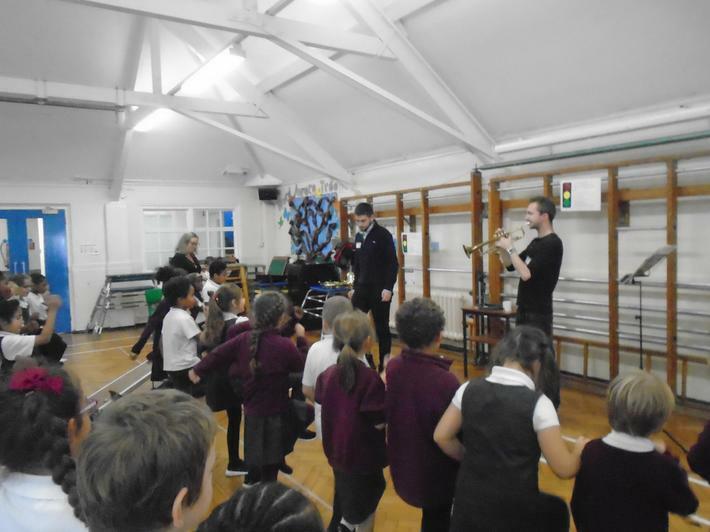 On Tuesday 16th October we welcomed some members of the Worshipful Company of Musicians to our school. 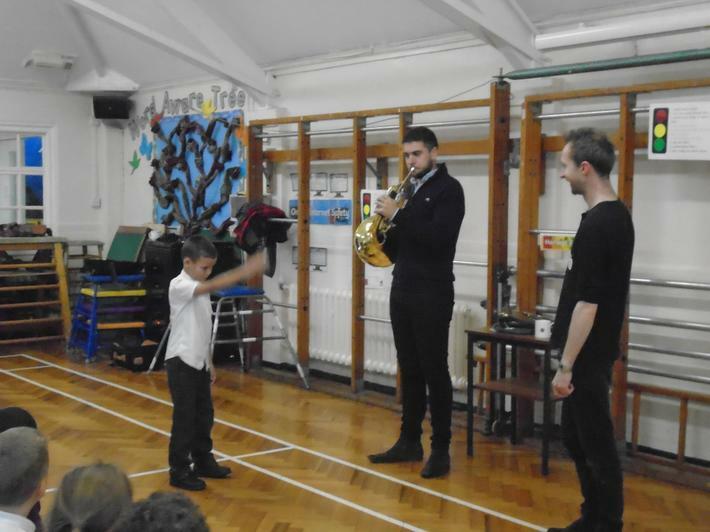 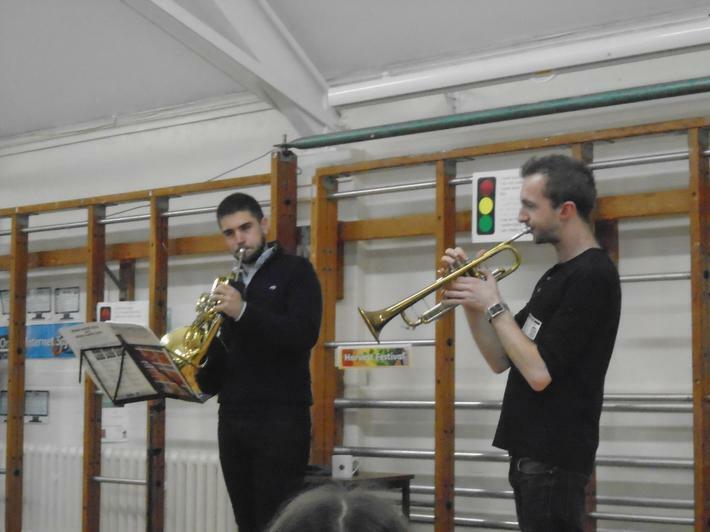 Ben who played the trumpet and Darren who played the French horn came in to talk to Year 2 about music. 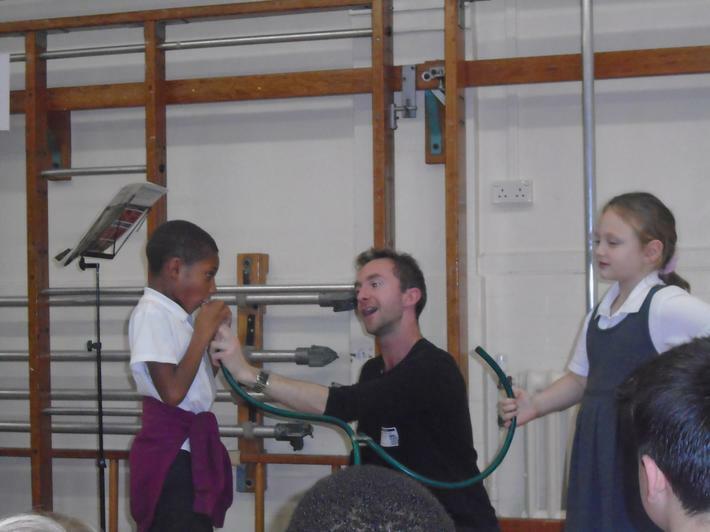 They showed us how to make the proper buzzing sound with our lips to make the noise and 2 children even had a go at playing the 'garden hose'!! 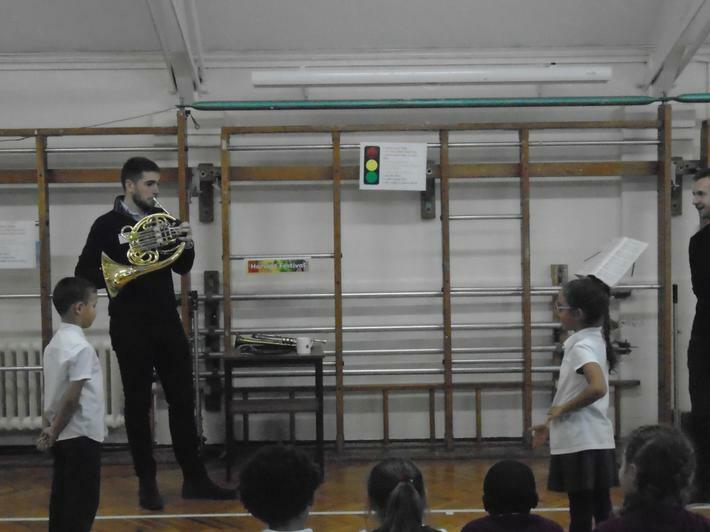 We learned about pitch and tempo and got to conduct the musicians while they played. 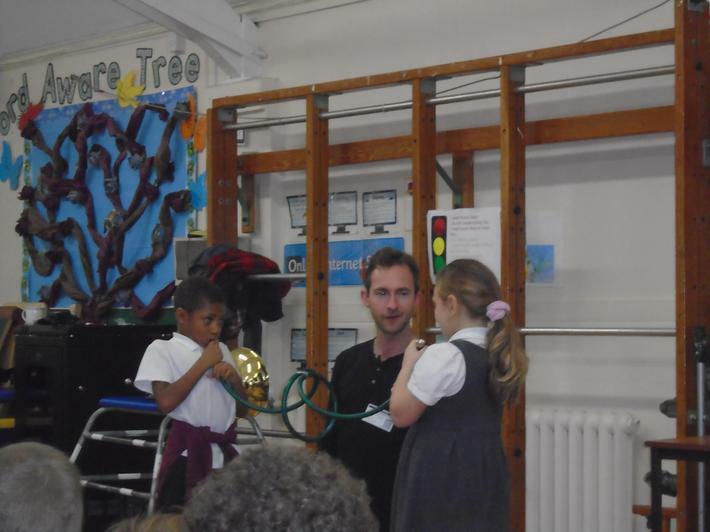 We listened to some music from around the world and all joined in with a rendition of Oh When the Saints!. 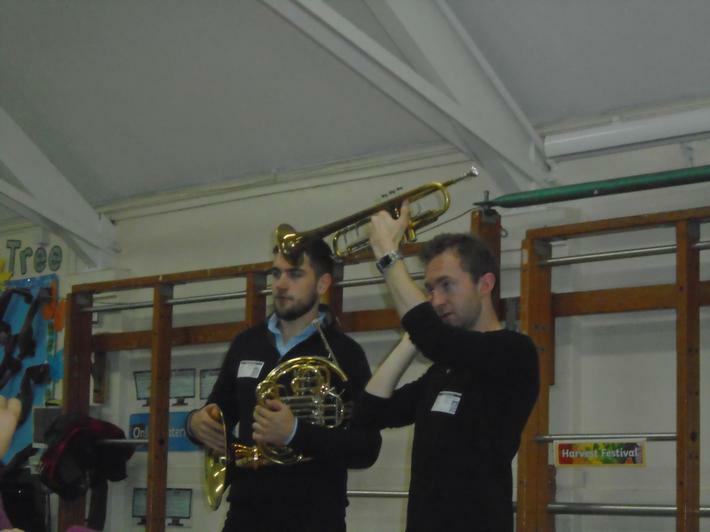 We are hoping to welcome in more musicians from the Worshipful Company soon.